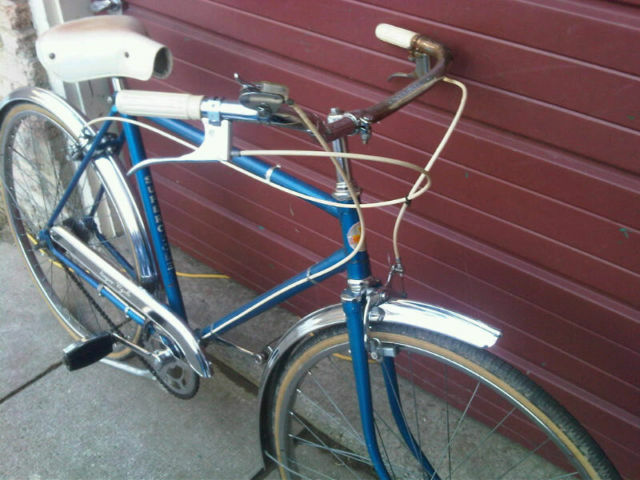 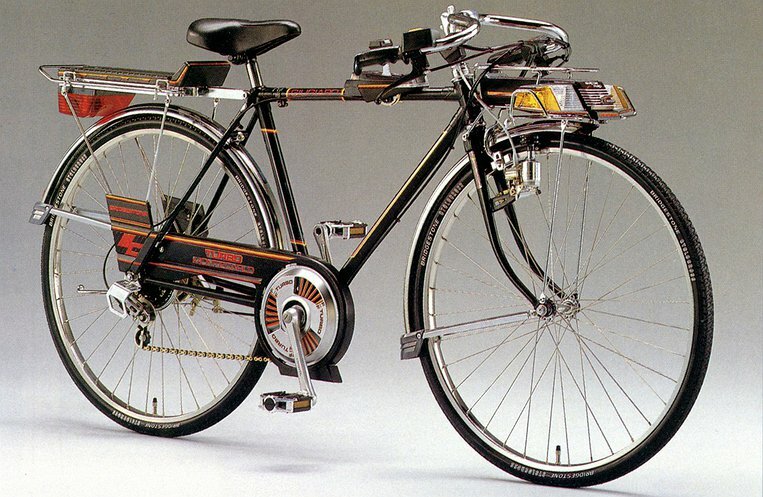 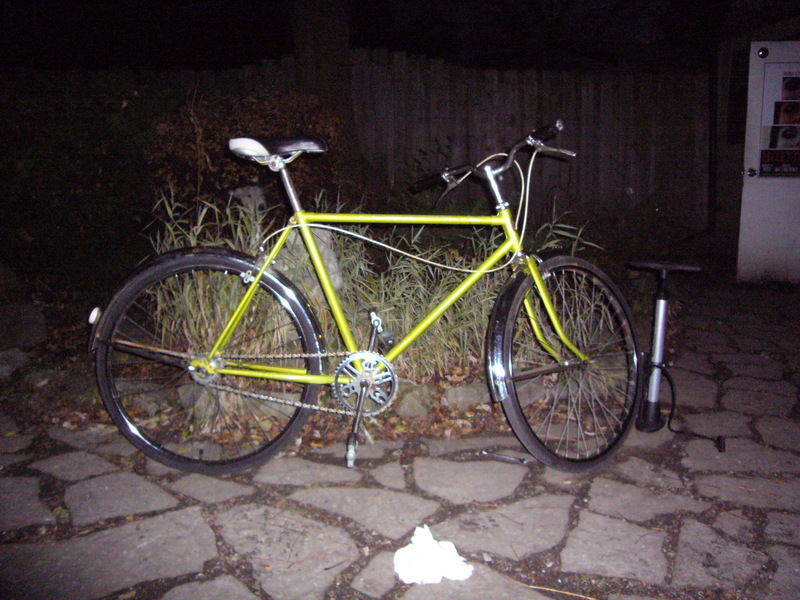 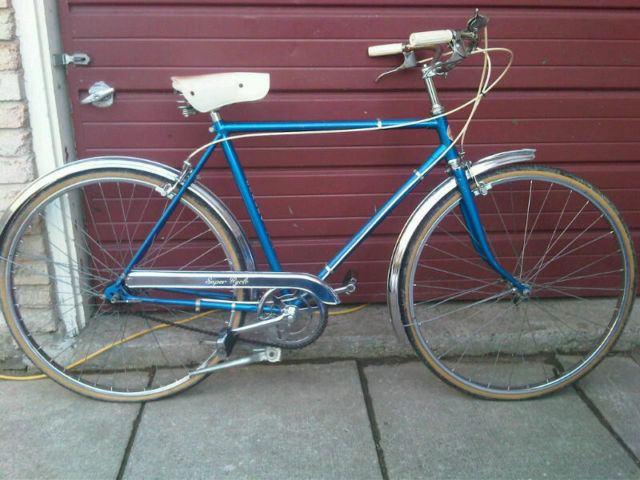 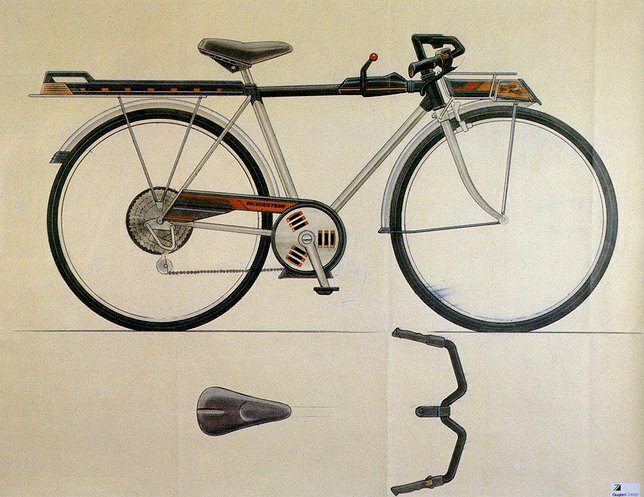 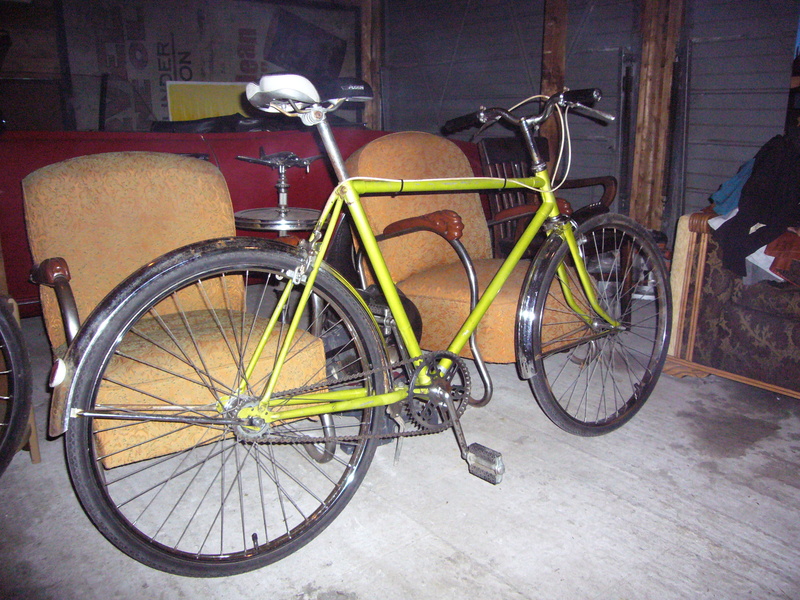 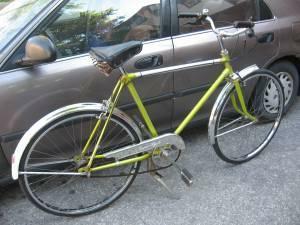 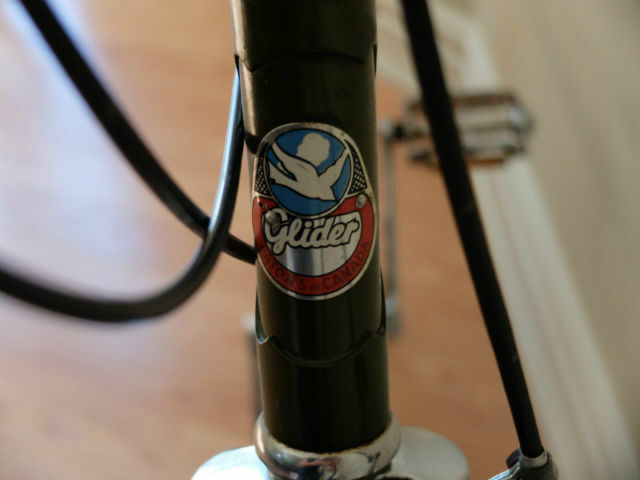 A clean and original 3 speed Supercycle, circa 1965. 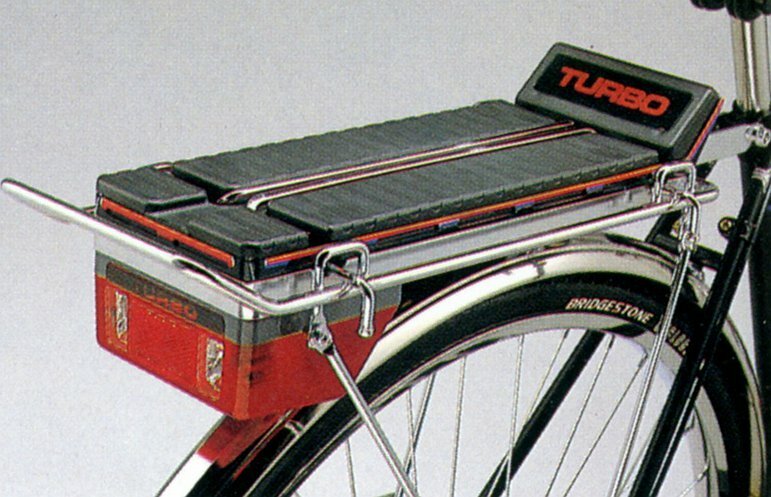 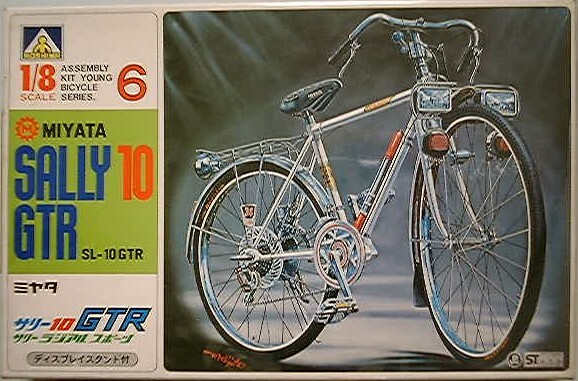 Note the period correct cable braids. 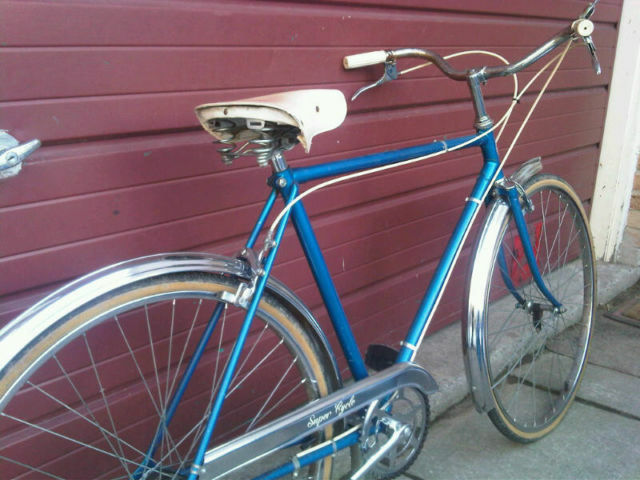 This was posted on Kijiji Ottawa today. 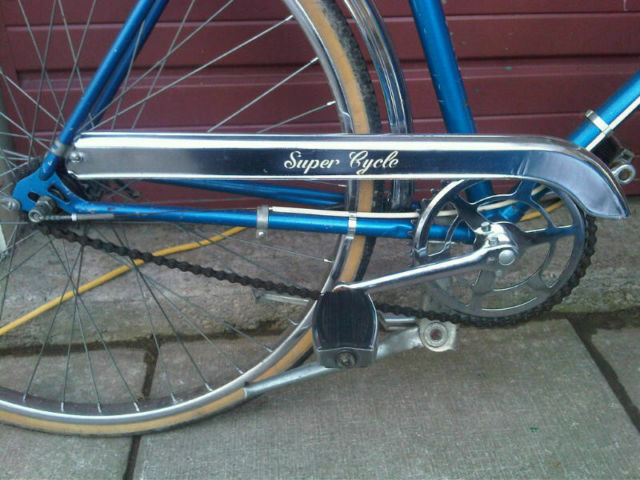 A very clean 60’s Supercycle made by Raleigh for Canadian Tire. 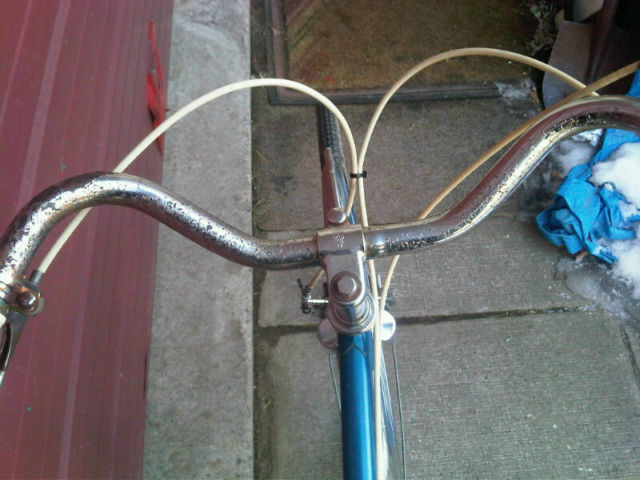 Still functional after close to 50 years. 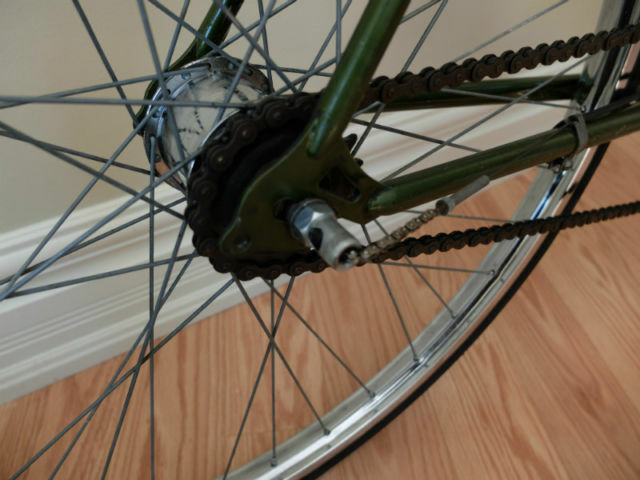 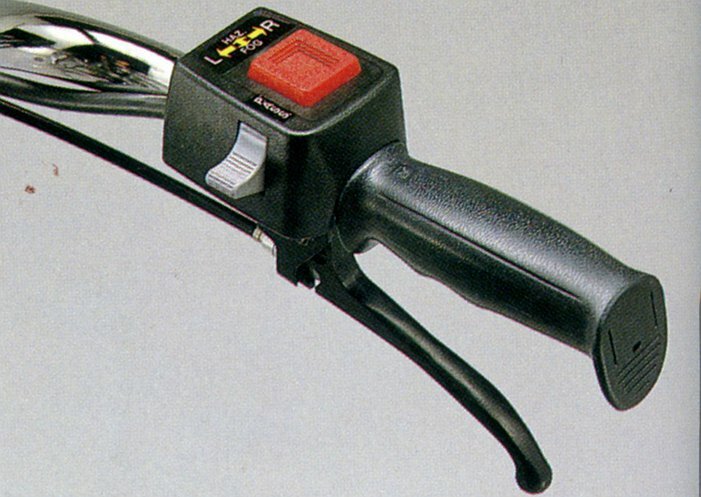 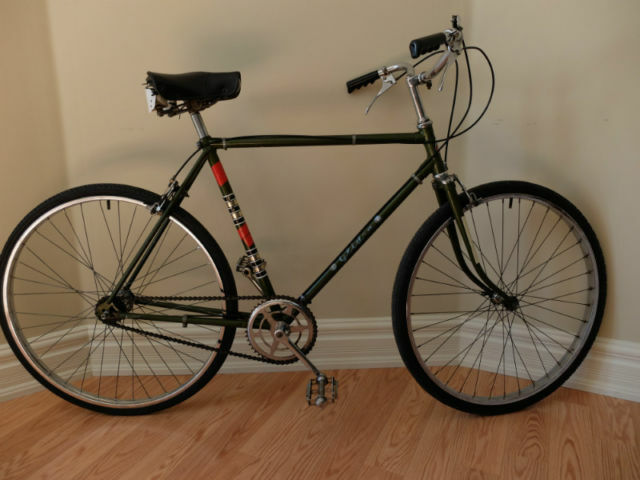 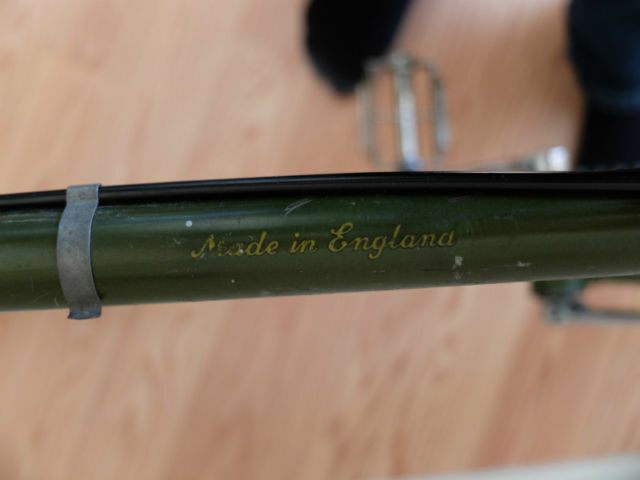 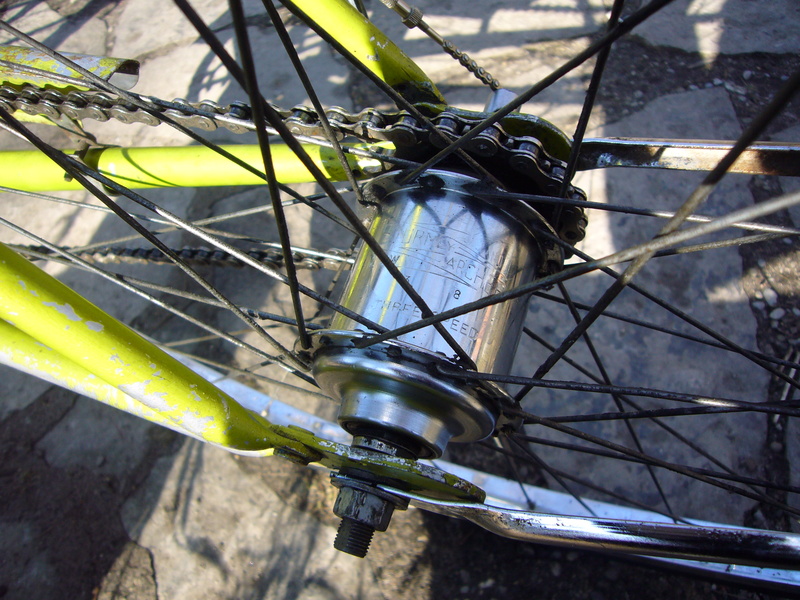 A Raleigh Laurentian 3 Speed. 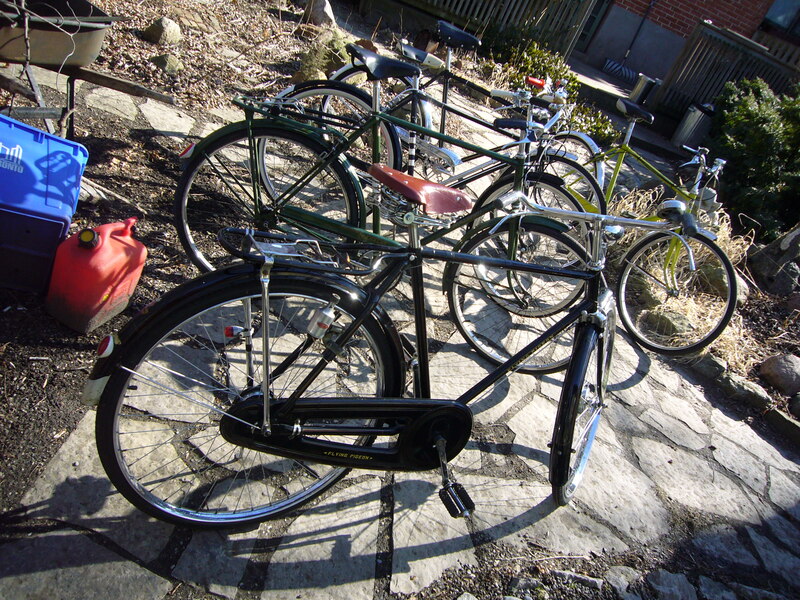 Currently for sale (along with some other vintage bikes) in Kensington Market. 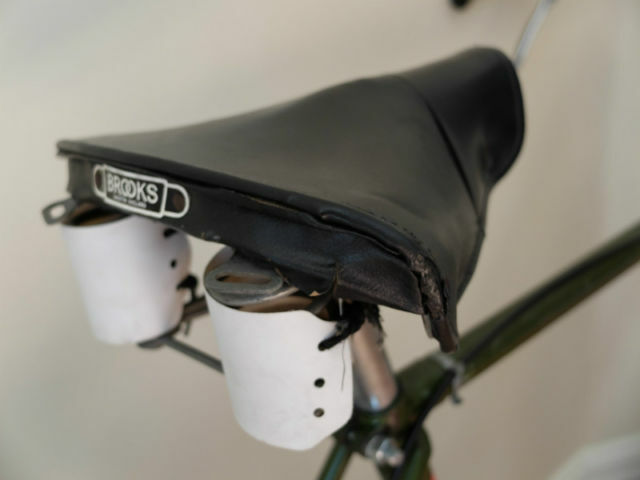 The seat, made by Shields in Toronto. 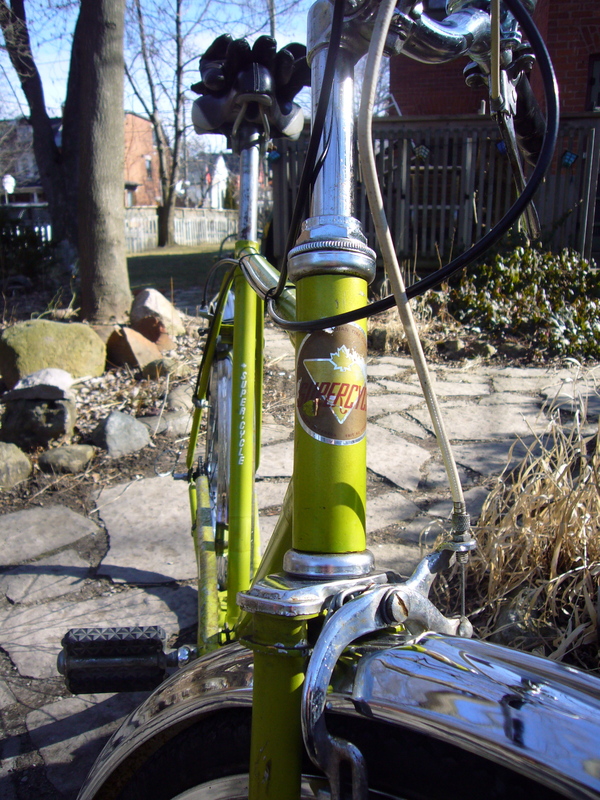 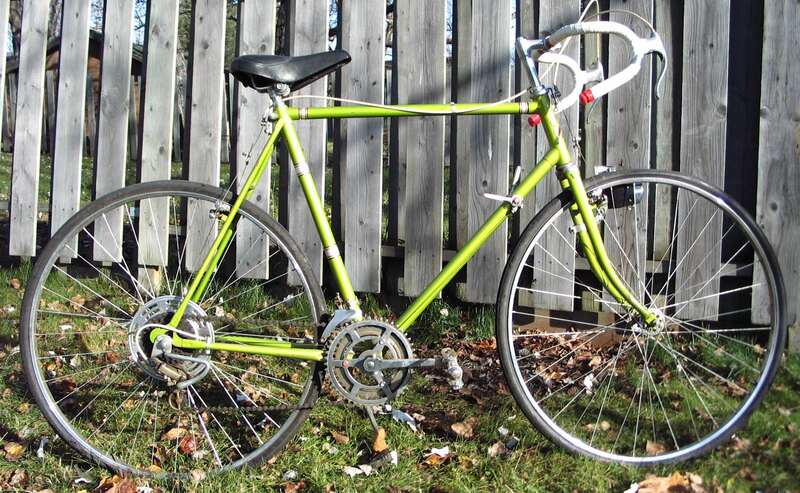 Another green mid 70’s Supercycle.